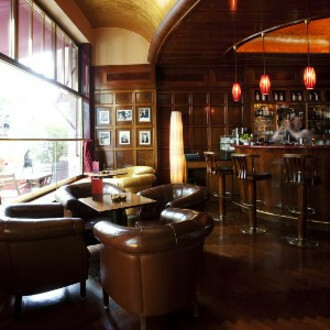 Wether you are immersed in a discussion with the bar tender or relaxing in a comfortable armchair with a view of the legendary Delphi cinema, the Times Bar, in Berlin Charlottenburg, is an oasis of peace and a magnet for lovers of the finer things in life. With modern drinks and Caribbean cocktails against a background of subdued music, guests can immerse themselves in a pleasant atmosphere far removed from the hustle and bustle of everyday life. 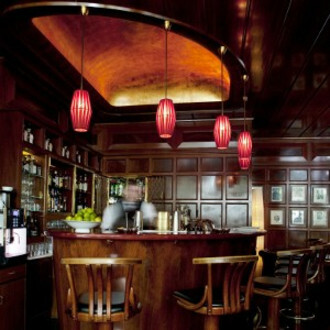 The bar is named after its central, octagon-shaped pillar with clocks showing the time in metropolises around the world. Experts and connoisseurs appreciate the range of first-class Cuban cigars from 'Casa del Habano', the luxury cigar shop in the Times Bar, which operates in Germany under an exclusive Cuban licence. Monday to Saturday: 11.00 a.m. to 2.00 a.m.
Sunday: 12.00 a.m. to 0.00 a.m.